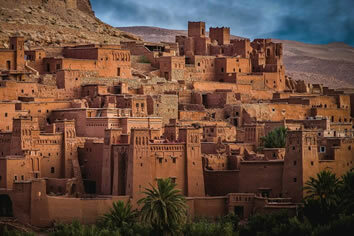 Morocco is a North African country with a vibrant and colourful culture. 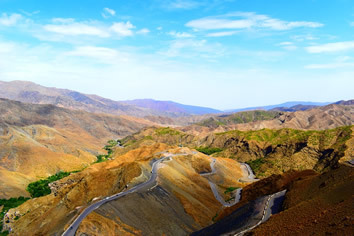 The Atlas Mountains stretch across the country and are easily accessible from the city of Marrakech. 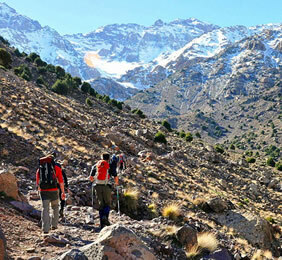 On this trip you will visit the Mountains of the high Atlas and gradually ascend to Jebel Toubkal. This is the highest peak in North Africa and rises to 4,167m above sea level. 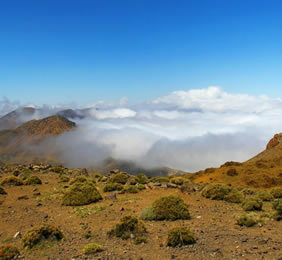 The high Atlas is one of the top trekking destinations in the World. The scenery is spectacular the food is good. During this trek you will visit sun scorched Berber villages and stay in local lodges and eat traditional Moroccan food cooked by our Berber hosts. This is a fully supported trek, your main bags will be carried by mules and a cook will travel along with us keeping you well fed. 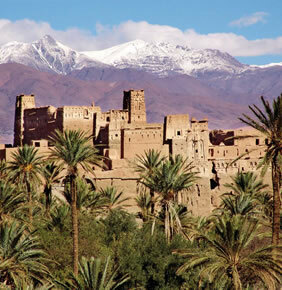 With snow-capped peaks, lush valleys & traditional mud-built Berber villages, the Atlas Mountains offer superb trekking and a wonderful respite from the madness, heat and noise of Marrakech. The High Atlas Mountains are the most easily reached section of the Atlas Mountains and arguably the most spectacular, the High Atlas Mountains, are only a 2 hr drive from Marrakech centred around the trail head town of Imlil and peak of Toubkal. Arrive in Marrakech, Morocco, please be in Marrakech by 10pm. Transfer from Marrakech Airport directly to your riad. After breakfast we set out for a 3½ hour trek gradually ascending to arrive at Tizi Aghelzim (3560m), again giving us some awesome views of the jagged peaks and verdant valleys of the High Atlas. From here we set off downhill for a two hour trek towards the Mouflons Refuge where we will have our lunch. Dinner and accommodation in beautifully situated and well equipped Mouflons Refuge at 3207m. It is important to get plenty of rest today ready for our ascent of Toubkal in the morning. 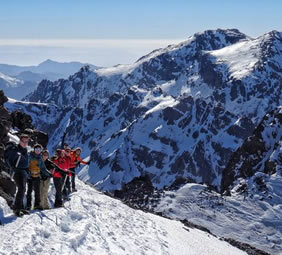 The climb to the summit of Toubkal takes around four hours from the Mouflons Refuge. Nowhere on the climb are there any technical difficulties, but it is a long and tiring ascent. The initial part of the climb is done in the very early hours of the morning when it will still be dark, but by the time we reach the Tizi-n-Toubkal col at 3941m the sun will have risen and we will be rewarded with sensational views across the entire Atlas chain. From the col the route ascends a ridge line towards the summit at 4167m from where we have views in all directions. To the north we can look down over 7000 feet to the village of Aremd, whilst to the south we can gaze over the line of rocky peaks stretching out across to the Sahara. After a long rest and numerous summit photographs we begin our 2 to 3 hour descent back to the Mouflons Refuge for lunch. After our lunch we follow a well-defined mule track zigzagging above the river to arrive, finally, at the Berber village of Imlil (1740m), where we rejoining our vehicle at around 1630h to take us back to Marrakech. A free day to explore the sights and sounds of Marrakech and get some last minute bargains in the Souks surrounding Jemaa el-Fnaa. Return home. A transfer back to Marrakech airport is included in the price. • Airport transfer from Marrakech airport on arrival and departure. • Riad accommodation in Marrakech including breakfast at the start and finish of the trek. • Three nights’ accommodation in local gites / lodges in the High Atlas. • One nights' accommodation at the Mouflons refuge below Mt Toubkal. • British International Mountain Leader and a Local Berber guide. • Fully supported trek with mules/muleteers to carry all baggage. • Transport to and from the mountains from Marrakech. Conditions are excellent on Toubkal. Snow is likely to be on the ground but the weather is stable. It will normally be warm during the day but gets cold at night, often below freezing. Walking crampons and a walking axe may be necessary for the ascent of Toubkal during this time. These will be provided if they are deemed to be necessary by the trek leader. A full and comprehensive kit list will be sent to you before the trip. Morocco is a Muslim country and therefore follows Islamic laws and customs. Any sexual relations outside of marriage are punishable by law regardless of whom they are with. Homosexuality is a criminal offence and therefore public displays of affection are best avoided. 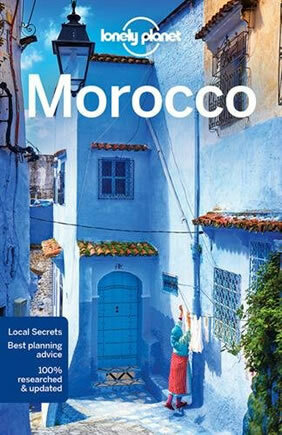 That said Morocco has been a favourite destination for gay travellers since the 1960's. The warm and welcoming people are fairly liberal in their outlook and tolerant of what happens behind closed doors. Our Moroccan country guides are aware and supportive of the ethos of Pride Expeditions and are ready to welcome you and show you the delights of the Atlas mountains regardless of your sexuality, gender or identity. €400 per person deposit payment required at time of booking, balance payment due not later than 90 days prior to departure. Web Page © Happy Travel, Ltd. Logos and Images © Pride Expeditions, etc.